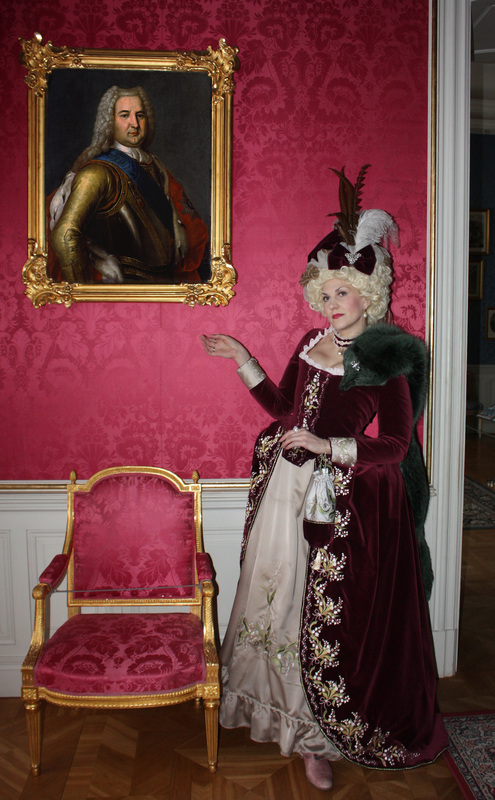 Courtiers of his excellency Duke of Courland will be at your service, if you apply your visit to Rundale Palace in advance! They will throw a party in your honour according to traditions of 18th century! First of all Master of the court ceremonies and Lady of Duchess’ court will greet you on the State Staircase and will invite you to the Palace. If you arrive on round hour? The palace clock will please with magical sequence of music. After the reception you will be invited to the White Hall. Since it is the Dancing Hall music have always sounded here. 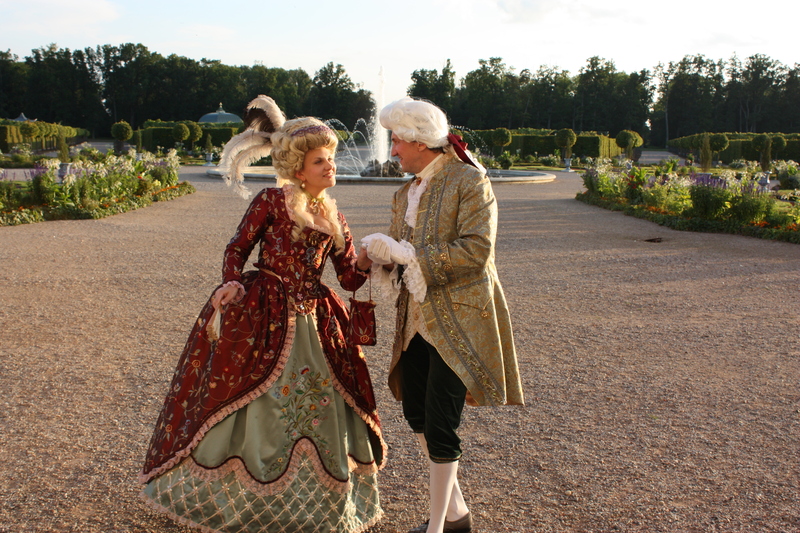 The courtiers will recapture the ambiance of party by performing gentle rising and falling movements of Minuet. 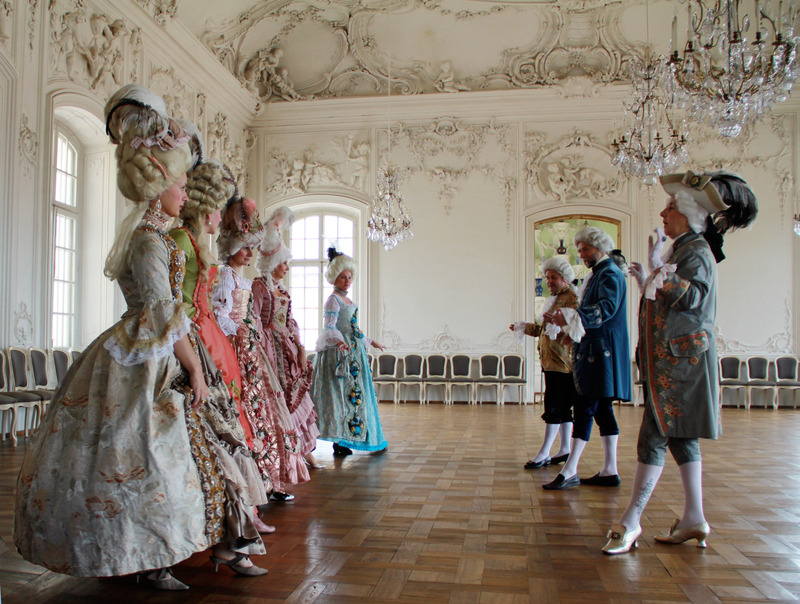 It was the most fashionable dance in 18th century ballroom. 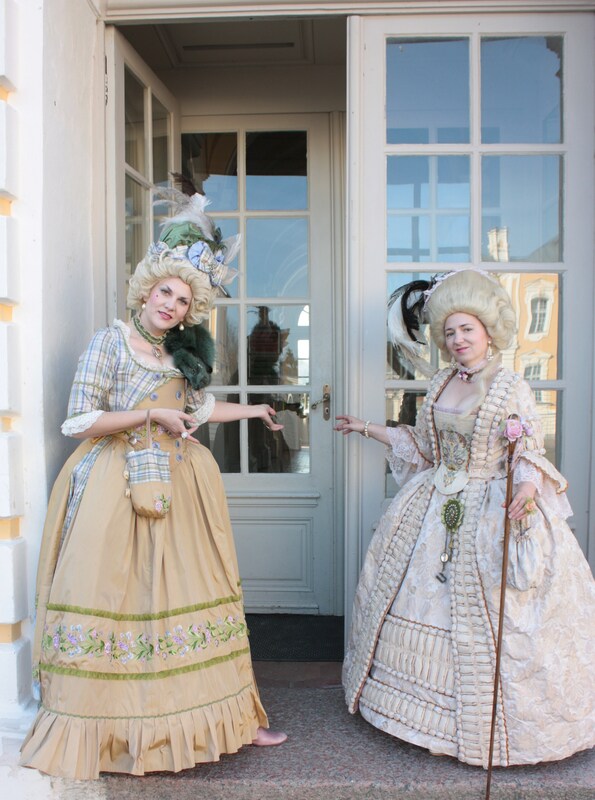 To discover the intriguing story about Duke Ernst Johan Biron and Russian Empress Anna Ioanovna you will be invited to visit the Dukes’ former apartments. 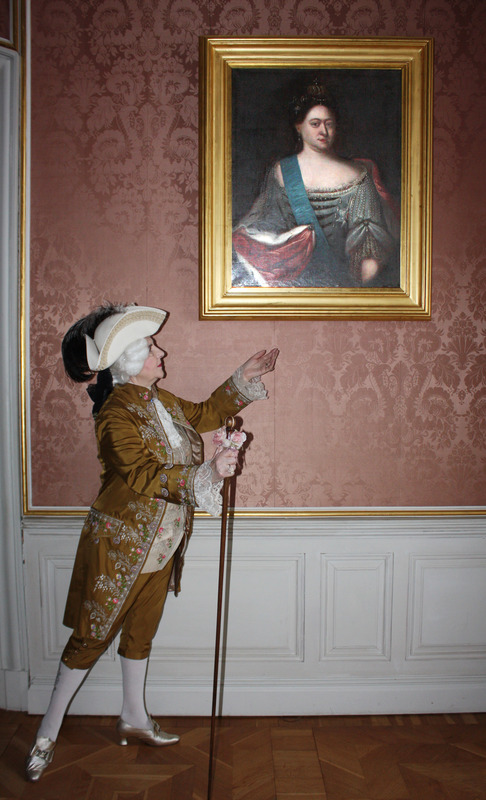 In the very centre you will find yourself in the State bedroom of the Duke, where courtiers will explain habitual rituals called ‘du lever‘and ‘du coucher’ of French court. 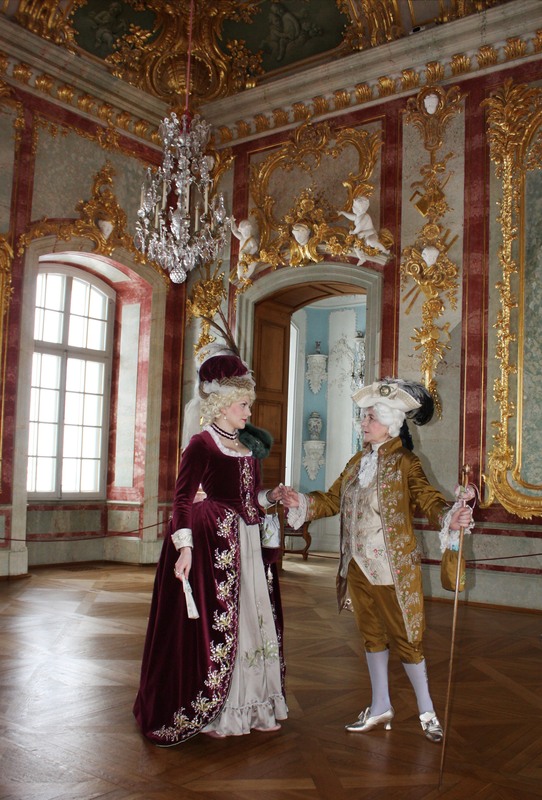 While walking through elaborately furnished and luxurious rococo style salons you will discover the true 18th century art of living. 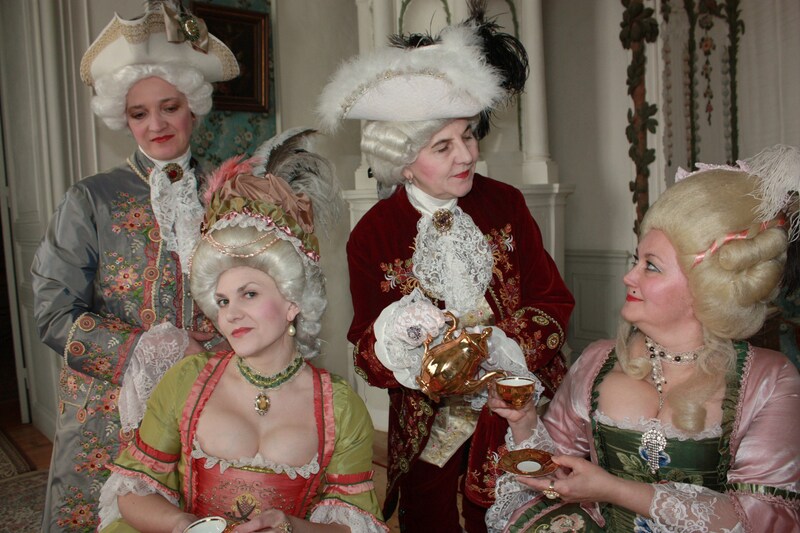 Hosts will share the most sacred secrets of witty and playful, sensitive and sophisticated 18th century court life. 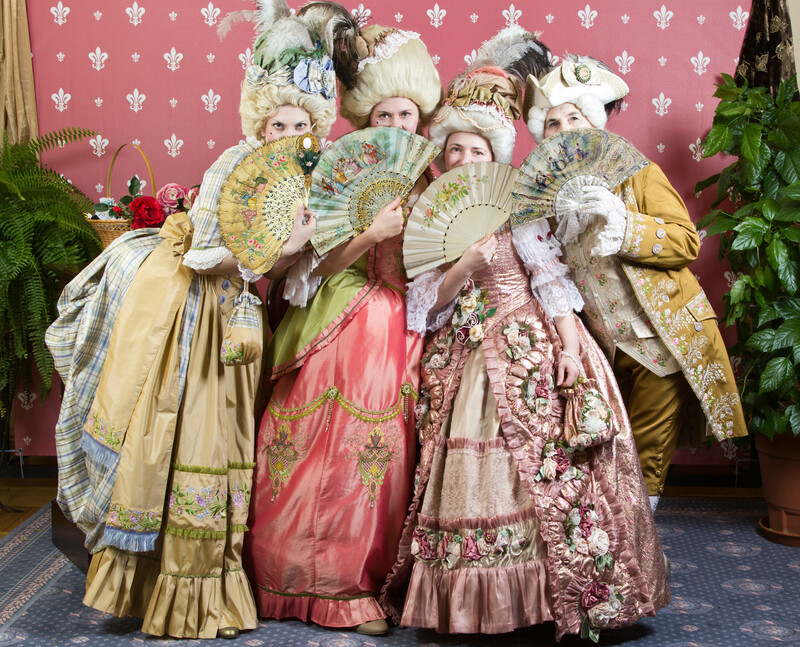 Meanwhile in the Duchess’ apartments you will learn manners of the period even the charming way in which fans were used to send subtle and coquettish messages of romance. 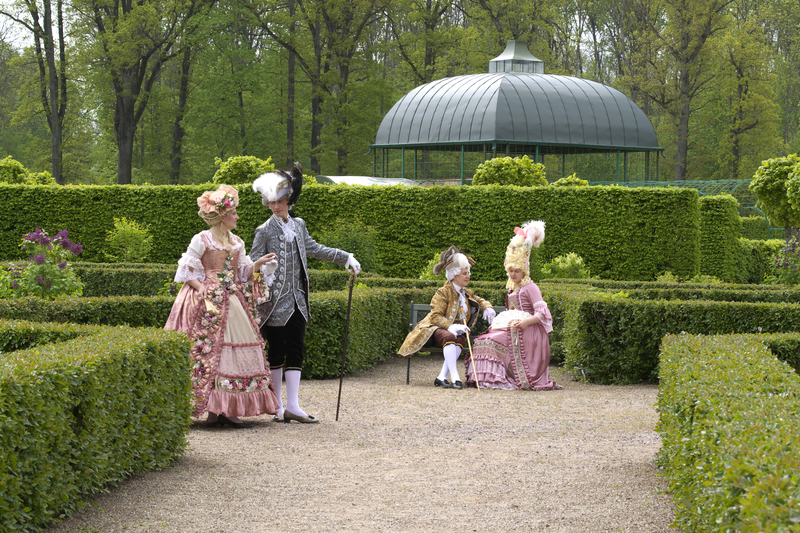 French Formal garden that that extends south of the Palace will fascinate with its perfectly cut bushes and green ornaments, and no one can resist the delightful aroma and never-ending colour nuances of over 12 000 roses. The view from the southern staircase with four ornamental parterres with fountain in the centre reinforce the feeling that you are in that most famous palace of Roi du Soleil. … and many other surprises will be prepared, but those won’t be surprises any more if we describe them here, therefore the only way to find out more is to experience it! 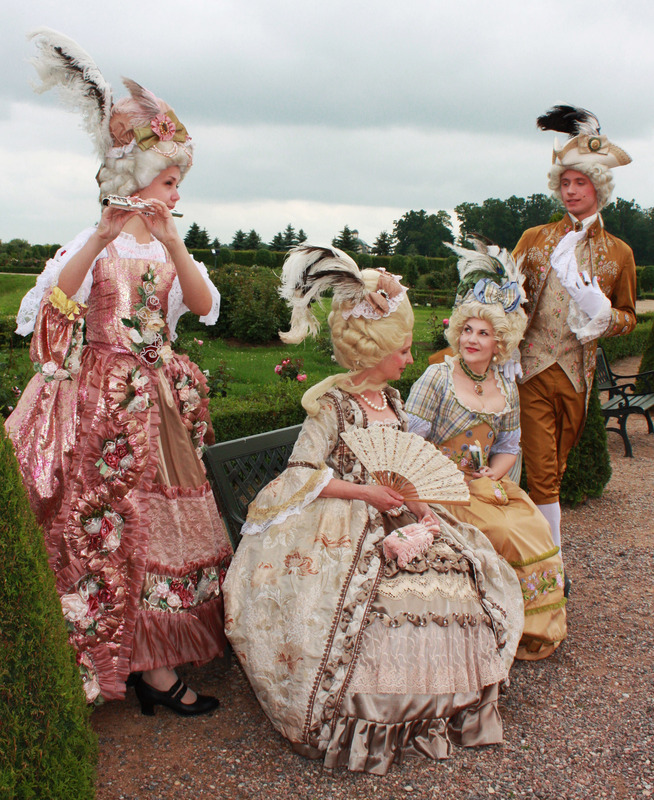 We would be honoured by your presence at our improvised and playful rococo style party to celebrate revival of history!